In three days’ time, NASA’s InSight Lander is expected to plunge through Mars’ atmosphere before parachuting down to a controlled landing on the flat plains of the Elysium Planitia. Once the dust has settled, a solar powered robotic arm will painstakingly unload the precious instruments stored onboard onto the planet’s surface, carefully guided by scientists back on Earth. These instruments are designed to penetrate further into Mars’ subterranean secrets than any mission before. While previous Martian landers have monitored the planet’s surface and atmosphere, the goal of InSight, short for Interior Exploration using Seismic Investigations, Geodesy and Heat Transport, is to explore Mars’ interior using three specialised tools. 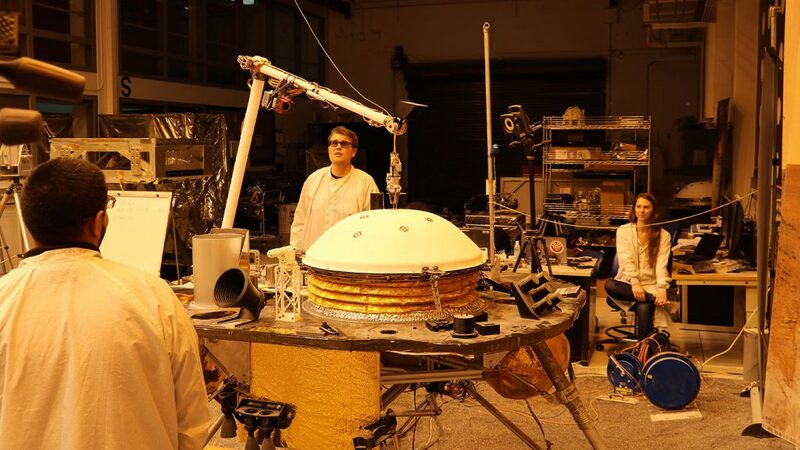 These include a heat probe which will measure the heat flow near to the surface, a radio science instrument which will measure how Mars wobbles on its axis, and a seismometer which will tell us about Mars’ deep interior. Scientists hope this will lead to new information on the formation of the planets in our solar system, perhaps even illuminating more detail on how our own planet came about. Seismometers detect seismic waves, vibrations that travel through the ground after an event such as fault movement or meteorite impact. The type of wave and the speed at which it travels can provide important details about the material through which it moves. On Earth, a global network of seismometers has provided vital information about the structure of the planet’s core and mantle. Robert Myhill, a seismologist at the University of Bristol, is part of a large international team of scientists who have been preparing for data returned by InSight’s seismometers (known as SEIS). Until recently, Myhill has been investigating how SEIS will be affected by Mars’ regolith (its shallow soil surface). Now that SEIS is en route to its Martian home however, Myhill and colleagues are getting ready for the next phase: receiving the data. “We hope to be able to use the waveforms from marsquakes and/or impacts to image the interior structure of the planet for the first time, including the thickness and structure of the crust, and the composition of the mantle and core,” Myhill explains. The data they will receive comes from two different types of sensors, a ‘very-broad-band’ (known as ‘VBB’) seismometer and three tiny short-period seismic sensors which are about the size of a Euro coin. The different sensors can detect various types of seismic wave, depending on the size and location of the seismicity. Gathering the information needed to achieve the mission’s goals presents numerous challenges. For starters, unlike Earth, which has a network of seismometers that can be used together, InSight will be the only active geophysical station on the Red Planet. 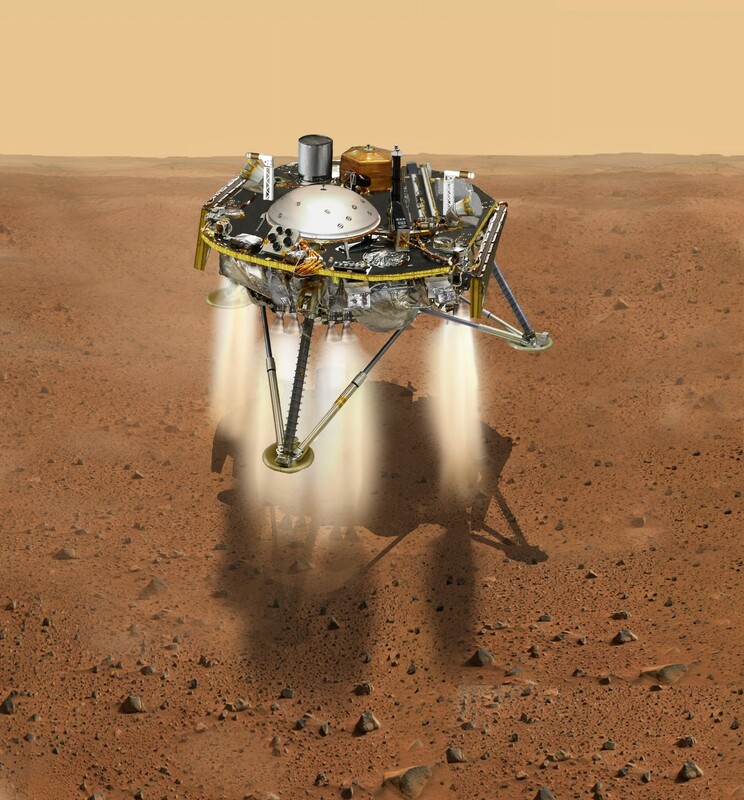 Two previous seismometers, mounted on NASA’s Viking Landers in the 1970s, experienced technical faults and design limitations and are no longer in action. As a result, researchers have had to come up with novel ways to gather information from the lone InSight lander  . The mission’s designers have also developed new technology to reduce noise and ensure the equipment can operate in Mars’ harsh environment. The seismometer will be mounted on a levelling system close to the Martian surface to minimise tilt and reduce the effect of wind. Once levelled, the lander’s robotic arm will place a wind and thermal shield over the top of the instruments, sheltering the sensitive instruments from extreme temperatures and buffeting by the Martian winds. Despite the increased protection afforded by the wind and thermal shield, there remain challenges for InSight. “We hope that during the lifetime of the mission, we don’t have a prolonged dust-storm. Although InSight would not be damaged by such an event, it does need solar energy for all its instruments and for data transmission,” said Myhill. From 26 November, he and the others involved must wait with bated breath to see their hard work come to fruition. “We should receive the first data from the instrument deck not long after landing, but full deployment of SEIS (including the wind and thermal shield) is not scheduled until early January 2019,” he explains. For the most up to date information on the mission, as well as more details in the lander’s other exciting capabilities see NASA’s InSight website. *Astute readers of this blog may have noticed the error in the title. 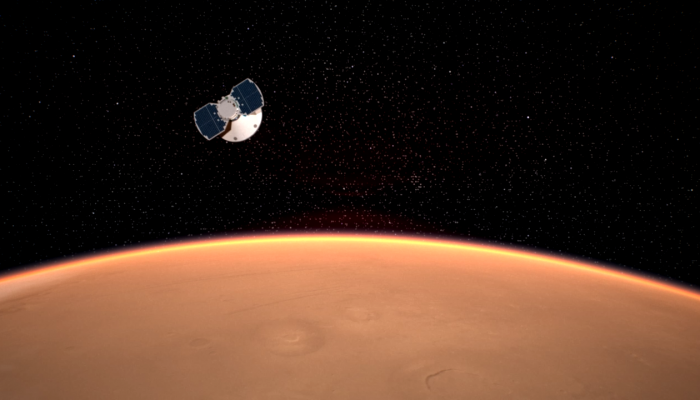 There is no such thing as an earthquake on Mars… instead InSight will be monitoring ‘marsquakes’.